98% of businesswomen believe their personal dressing style helps them achieve certain objectives at work. 80% said the right outfit is crucial to creating a knock-out first impression. One in ten women describe dressing for work as a ‘constant struggle’. 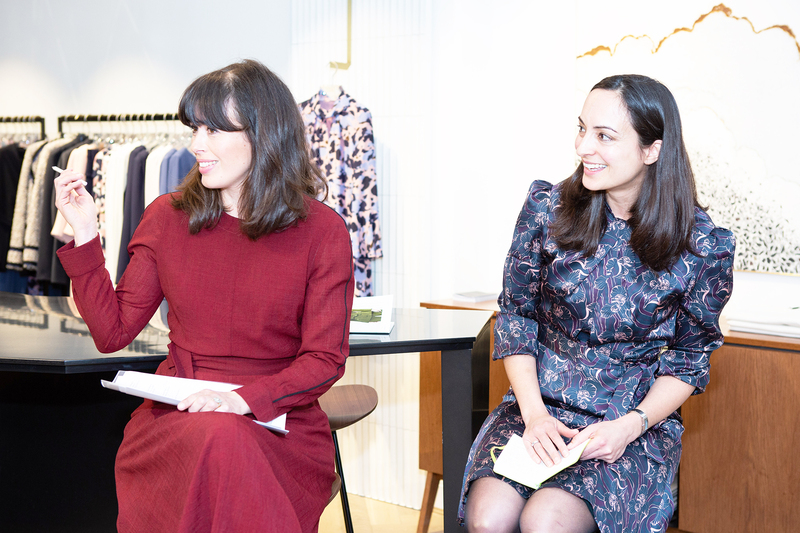 With this in mind we invited image and brand consultant Isabel Spearman and business journalist Kate Bassett (The FT, The Times, The Guardian, Management Today) to our Chelsea store to delve into the reasons why workwear matters and how to ‘get it right’. Kate Bassett: Getting the work look right is tough. More than 50% of women admit to a last-minute change of outfit in the morning – what can we do to avoid those last-minute dressing dilemmas? Isabel Spearman: Everyone’s work staples are different, but preparation is key to getting it right. Take your time over finding looks that work for you. Have a work diary and use this to plan out your outfits based on upcoming events – it will alleviate stress of deciding what to wear and avoid those last-minute panic decisions which leave you wishing you’d never left the house in your outfit! Kate Bassett: While more than half of senior businesswomen say they opt for ‘business formal’ as their go-to style, younger ‘rising stars’ go for a more casual work wardrobe. How do you dress to standout in a casual work environment? Isabel Spearman: Create your own uniform. I have a client who works in an entrepreneurial environment – she has two wardrobes – casual for everyday and smart when she needs to turn it on for a big meeting. She has ready-made outfits in each, so she can choose the right look for the situation. Everyone’s work staples are different, but preparation is key to getting it right. Take your time over finding looks that work for you. Kate Bassett: More than 90% of the businesswomen surveyed said they reach for the proverbial power suit to lift their confidence at work. How do you find that one wardrobe investment that’s comfortable, versatile and makes you look the business? Isabel Spearman: Women have so many different options, we have this amazing facility to use clothes to empower us – whereas men in the corporate sector only have the option of a well-fitted suit and tie to choose from! I met someone who had owned the same power dress for over ten years. She said, ‘when I put this on I feel like I can conquer the world – it’s my go-to’. It’s about finding that one piece that makes you feel confident, put together and like ‘I’ve got this’. It’s using dressing as armour, but it’s not always easy to get it right. Everyone’s personal style is different – find the look that makes you look great and feel good then replicate it. Women have so many different options, we have this amazing facility to use clothes to empower us. 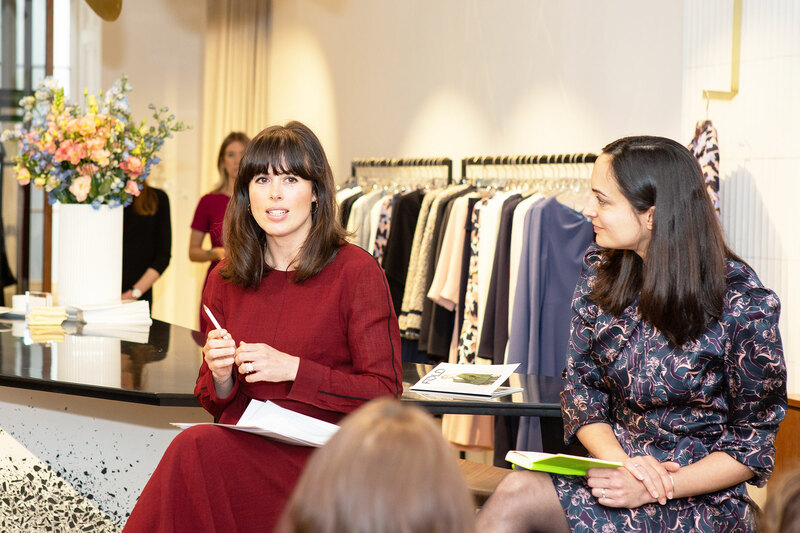 Kate Bassett: When it comes to workwear, 76% of businesswomen say they are influenced by their favourite fashion brands, while 52% look to newspapers and magazines. Where do you find inspiration from and where can women go to for style tips? Isabel Spearman: People get stuck on what suited them before and don’t know how to move on. A few tweaks open the world up to them and they think ‘yes, I can do this’. Finding a good personal stylist, stylish colleague or honest friend is a good way to try out new looks and push yourself out of your comfort zone. Look to your peers and ask women whose style you admire where they shop. I shop through Instagram – it’s my go-to. I like seeing real women in the clothes before I make a purchase. Kate Bassett: 74% of businesswomen admit they assess an individual’s ‘executive presence’ based on their appearance. With this in mind, how can women be more supportive of each other – more constructive as opposed to catty when it comes to external appearance? Isabel Spearman: For clients in the corporate sector it’s more common for them to advise their colleagues if they don’t look smart enough for the role. Hiring an outsider to offer practical advice and support can be the best way to tackle sensitive issues around dress codes at work. The approach depends on the person and the situation – if it’s a sensitive topic it requires a measured approach. Isabel Spearman is an ambassador for the charity Smart Works. ‘If you’re having a wardrobe clear-out – donate it to Smart Works‘ recommends Isabel. Smart Works is a UK charity that helps unemployed women back into the workplace by providing high quality interview clothes, styling advice and interview training. Smart Works aims to give women the confidence and the tools they need to succeed at interview and achieve their employment goals. Find out more about Smart Works and how you can donate your work clothes here.